Look for the sneakhead!what's that? In 2004, 19 northern snakeheads were captured in the Potomac River, and they were later confirmed to have become established (were breeding). They are somewhat limited to that stretch of the river and its local tributaries, upstream by the Great Falls, and downstream by the salinity of Chesapeake Bay. 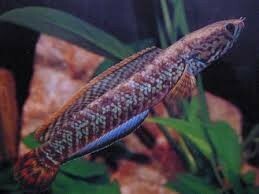 The northern snakehead has been found in three counties of Florida, and may be established. Apparently unestablished specimens have been found in Flushing Meadows-Corona Park, New York, two ponds in Philadelphia, Pennsylvania, a pond in Massachusetts, and reservoirs in California and North Carolina. It is feared that recent flooding allowed the species to spread into the nearby White River, which would allow an eventual population of the fish in the Arkansas and Mississippi Rivers. argus was introduced through intentional release by Asian food importers to establish harvestable stocks of the snakehead to supplement/reduce foreign import of the highly desired food product (Harris, 2002). C. argus has also been introduced through release of pet snakeheads, as was the case in of the Crofton, MD breeding pair in 2002. As reported in the Washington Post, a local man had originally ordered the pair of live snakeheads from a Chinatown market in New York to prepare a traditional soup remedy for his ill sister; however, his sister had recovered by the time the order arrived and the man released the fish into the pond near Crofton and after they had outgrown their aquarium (Huslin, 2002). The Northern Snakehead is highly adaptable to variable environmental conditions with latitudinal and climatic ranges greater than that of other snakehead species. Prior to Federal regulations restricting importation of the species, the Northern Snakehead was the most widely available snakehead sold as a live-food fish in the U.S. accounting for the largest volume and greatest weight of live snakeheads imported into the U.S. until 2001 (Courtenay and Williams, 2004). Additional investigation by Courtenay and Williams (2004) showed that despite the fact that fourteen states banned possession of live snakeheads prior to August 2002 the authors were able to procure live specimens from various cities around the U.S. The authors also reported several raids by several state Fish and Wildlife agents producing large numbers of illegal live Northern snakeheads smuggled into Asian markets. Snakehead species are important to the fishing industry in Asia and have been shown to become commercially fishable in areas of past introduction (Berg, 1965; Baltz, 1991; Dukravets, 1992; FAO, 1994). In China and neighboring Asian countries there is a large yearly demand for Northern Snakehead as a major food ingredient and a folk remedy with supposed medicinal properties. According to a recent Associated Press article, Singapore alone imports more than 1,200 tons of northern snakehead a year (Harris, 2002). argus is a rapacious primary predator consuming a wide variety of prey besides other fish whose predacious nature, lack of natural predators, high fertility, and adaptability to a wide range of environmental conditions qualify it as a potentially dangerous invader in climatologically-favorable and resource-rich U.S. ponds, lakes, and streams (Courtenay and Williams, 2004; ISSG, 2004; Okada, 1960). Also, given that C.argus has a geographic range of native range (24-53º N) and temperature tolerance (0-30 ºC) and was established in Maryland in 2002 and possibly in Florida around the same time, the probability that the C. argus will become more widely established is quite favorable (Courtenay and Williams, 2004). Spread of the Northern Snakehead should be addressed soon, as the range of collected species is geographically increasing and the ecological impacts are still unclear. 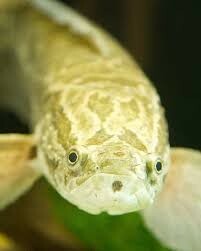 The Northern Snakehead has been recently detected as far north as the Great Lakes, albeit in small numbers. Also, thought it is believed that the C. argus is not as well equipped for long overland travel except during its juvenile stage due to the comparatively rounded body of the adult Argus (species with flattened ventral surfaces are more stable), the Northern Snakehead has the ability nonetheless to disperse to new, crowded environments during or directly after heavy rains (Liem, 1987). The identification of the species so far north from the main area of interest in the Mid-Atlantic States shows that the species has the ability to widely spread, and even accounting for the generally poor nature of detection, the species is not yet over-running ecosystems. The Snakehead’s menacing appearance is at least partially responsible for its earned reputation of ill-repute. 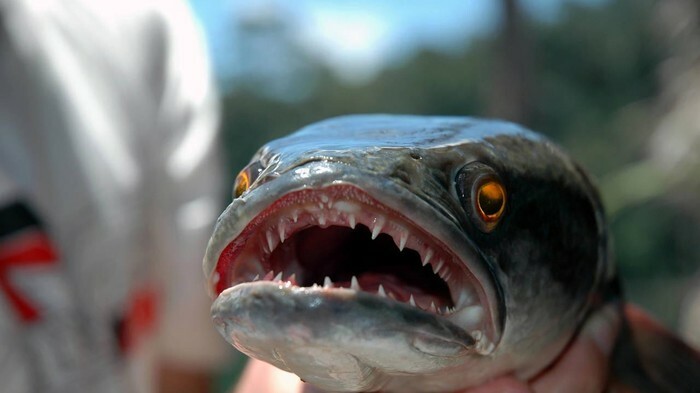 Most of the media hype centered on the “poor personality” of the snakehead disregards the true extent and viability of the snakeheads’ invasion. Common sense measures instituted at the Federal and State levels through Federal Wildlife Service (FWS) and the state departments of conservation should be sufficient to stem the tide of this invader. These policies, coupled with large fines for known violations of Federal statues regarding the release of the Northern Snakehead by Asian food importers to encourage local breeding stocks, seem adequate to largely contain the runaway invasion of the Northern Snakehead throughout the United States. 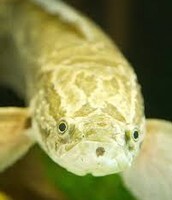 The Virginia State government signed House Bill 2752 or the Nonindigenous Aquatic Nuisance Species Act, which identifies several species including the snakehead as a Nonindigenous aquatic nuisance species and gives the Board of Game and Inland Fisheries the authority to declare other species as aquatic nuisance species. The bill makes it illegal to possess, import, sell, give, receive, transport or introduce these animals, but provides for permits for legitimate research. The bill was signed by the Governor Mark Warner on March 16, 2003 The Maryland Secretary of Natural Resources also instituted a Snakehead Scientific Advisory Panel in July 26, 2002 to “deliver to the Secretary a report that assesses the risks to Maryland’s natural resources posed by the northern snakehead fish; evaluates the options for its control or eradication in and around the pond where it was found, including the probability of success and attendant environmental consequences; and recommends by consensus a preferred course of action to be executed by the Department.